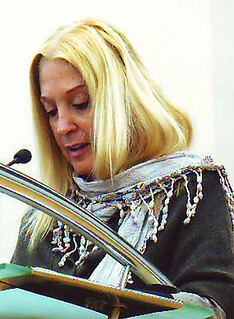 Vassula’s first visit to Croatia was in February 1995 when she was invited to speak in Split, Zagreb, Otok, Osijek, and Djakovo. On this second visit 15 years later, our TLIG Prayer Groups in Croatia were happy to welcome Vassula in the year of TLIG’s 25th Anniversary. It was a brief but eventful stay in Croatia’s capital Zagreb, organized by our TLIG Croatia Association made up of several TLIG Prayer Groups in Zagreb, Sinj and other places. 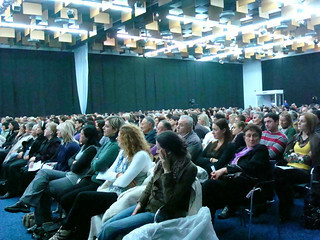 Although there was some unfortunate opposition from some quarters, our organizers persevered to arrange radio and TV Interviews, and managed to fill the auditorium in the Zagreb Fair Congress Hall with an audience of 1,000 people. There were buses with avid TLIG readers, both lay people and priests from all over Croatia and neighboring Slovenia, eager to hear more about True Life in God. They had brought a TV Slovenia crew for an Interview with Vassula which was to be aired in their country in preparation for a hoped for visit to Slovenia by Vassula in the near future. The interviewer was interested to know about Vassula at the beginning of her experience of God. She described her life as one that was indifferent to God, disinterested in any religion or spirituality. The Interviewer referred to her as the greatest mystic of all time. She said this was an exaggeration. God will always speak to His people in different ways to remind us of His Word and of our foundations. When necessary, God will rise from His Throne and in His Mercy, save His people. Vassula observed that people construct an image of a severe God because of His Justice. Because of this, they have an image of a God who is far away, and do not realize He can be approached in an intimate way. They do not know this because they have never tasted His Sweetness. If they do not taste the goodness of the Lord and meet God, they will not be able to progress in their love for God. One has to decide for God seriously – by giving our will to God, by wanting God; wanting to abandon oneself to God and to be accepted by Him. Only then can God work in that person. We are here on earth to prepare ourselves to go to Heaven, and if we don’t prepare it will be difficult. This Message therefore is for everyone. It is a call to Reconciliation, Peace and Unity. God calls His Church to Unity. If there is apostasy, no repentance, no acts of reparation, all this will bring catastrophes to the world. The Chastisement will be by fire, but Vassula emphasized that the Messages draw souls to conversion, to lead a holy life. What can diminish the fire brought on by apostasy, the lack of repentance and acts of reparation? Vassula answered that if the Church unites, more people will believe and there will be more cries of repentance that will reach the Father’s Ears. Vassula’s biggest opponent is Satan. True Life in God brings a change of heart and brings souls back to the Sacraments of the Church. Satan does not want this! Satan exists and his mission is to destroy God’s Kingdom, and Vassula is one of his targets. But God told her He is always with her, so Satan’s arrows slide off her. Has the Church recognized the TLIG Works of Mercy? Many judge the tree “by its fruits”. There have been many conversions back to the Church and the Sacraments. This Interview was aired on Croatian Radio entitled “Lord, you have sought me, you know me...“ on November 3rd . On Saturday, November 20th 2010, this Interview was aired on Croatia’s prime TV channel. It was a TV program on the TLIG Messages and it promoted the theme of Christian Unity. In 1995, Vassula had spoken in this same hall to introduce True Life in God to the people of Zagreb. This time, 15 years later, she came into a hall filled with the Spirit for the audience had been praying and singing, animated by three TLIG Prayer Groups from Croatia. 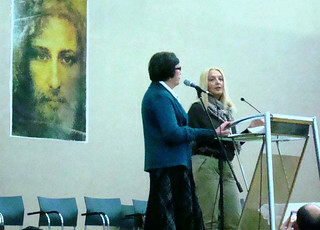 A short Introduction was made by two members of the TLIG Zagreb Prayer Group who talked how Vassula’s mission started with the approach of her Angel in 1985 whilst living in Bangladesh, and how she was called by God to serve Him by transmitting His Divine Words to people all over the world. Vassula started her speech with her first days with her Angel and then she spoke on her experience with God the Father, and then on her communication with the Three Persons of the Holy Trinity and Our Holy Mother Mary. The words were running fluently like streams warming up the hearts of the listeners. She said that the Messages are given to today’s generation because there is a great apostasy in the world. Our God who is full of tenderness, love and mercy. He did not come to judge but to save the world; to establish His Kingdom in our hearts. He wants to wrench every soul from the desert and transform it into a garden where He could find rest; into a palace where He could be a King and reign over us; to transfigure our souls into a Heaven where we will be able to glorify Him. He is calling us to surrender ourselves to Him completely; to be purified completely because the Holy Spirit can't come to a wretched soul and abide in it as long as the soul is not totally cleansed. He says that we are a vast graveyard which should be transformed into cathedrals. He asks us to die to ourselves so that He can abide in us. Today more than ever in history the Holy Spirit is renewing all those who surrender to Him, so that they may come back to life. To obtain the love of the Holy Spirit we need Repentance, Humility, and Prayer. The Lord desires prayer which comes from our heart. He asks us to pray without ceasing, which means an awareness of His constant Presence, and to long for God. It means to desire God all day long, always, to thirst for Him without ceasing. He asks us to pray with love, and through our prayer we can find the solutions to all our problems. He tells us that when we invoke the Holy Name of the Lord, the devil takes flight. At the end of Vassula's talk we prayed together the Prayer of Repentance and Deliverance which God gave her to be prayed at the end of all our meetings. The Celebrant’s Homily: The Holy Mass began at 7 p.m. It was a real celebration of God, with eight priests – of which four were from Croatia, and the other four came from Slovenia as Slovenians came in three buses to the meeting. We were all in one spirit! 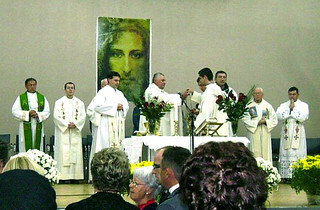 The priest who was leading the celebration spoke in his homily about Vassula's great sacrifice as she was always on her knees while she was receiving the Messages (and Vassula added: "Eight years!“) He also stressed the main themes: Love, Unity – Jesus will ask from us what we did about Unity while we were on earth – were we building it up, or we were destroying it? He said that Jesus brings peace and love. Every act of haughtiness and pride leads us to destruction. Jesus acts among us the way He wants to act, and nobody can stop Him. 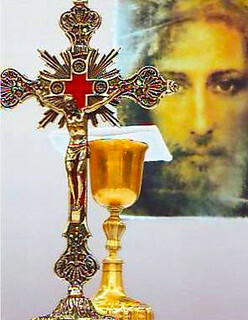 Today many people say that Jesus’ Revelation is ended, but Jesus is permanently present; Jesus is Resurrected and He is permanently among us in the Holy Eucharist. It is a big sin to reject Jesus' Presence and He never ceased saving the world. The TLIG Messages are also one of God's graces in His plan of salvation. The first experience happened at the Meeting. A lady from the city of Split, Diana, said: "And when Vassula looked at me with her blue eyes, I felt so blessed!" And the leader of their prayer group, Jure, (George) said: "It was not Vassula who looked at you - it was Jesus who looked at you! Jesus has blue eyes, but Vassula's are brown!" The other spiritual experience came from two people from my church „The Queen of the Holy Rosary“, from Zagreb. The day after Vassula's meeting Robert asked his friend Đurđa (the name comes after the flower 'lily of the valley') "Did you smell the fragrance..." He couldn't finish as she said: "the fragrance of roses? Yes, I have!" 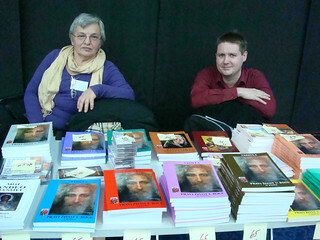 The people of Zagreb were anxious to get their hands on the books as they were sold "in a minute"
TLIG Prayer Group from Sinj"
All the TLIG books in Croatian were sold out “in a minute!”, as well as the other TLIG material. Our TLIG Prayer Group from Sinj was able to meet Vassula afterwards. 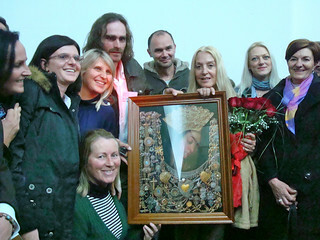 They were very honoured to present her with a gift to thank her for her dedication to the mission of True Life in God.